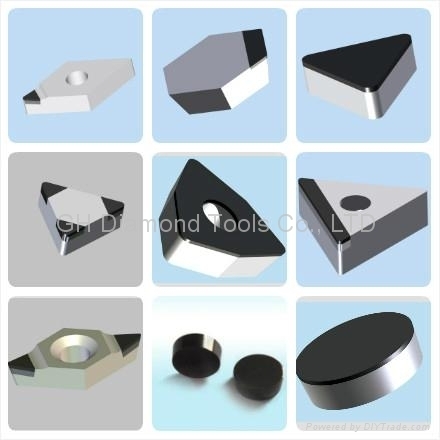 GH Diamond Tools Co., LTD specializes PCD (polycrystalline diamond) and PCBN (polycrystalline cubic boron nitride) tools. 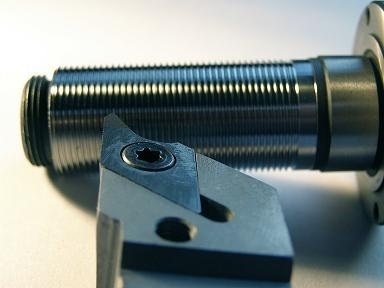 Their high-performance and precision design will meet the strictest requirements of Woodworking, Automotive and Aerospace Airframe & Composite Material Machining Industries. OEM is also warmly welcomed according to per customer's requirements. 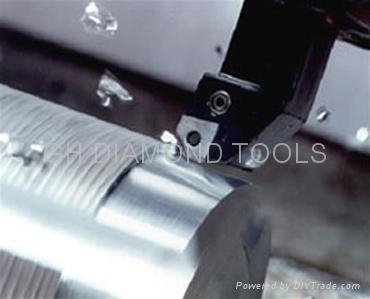 We have rich experience in repair, replace and reshape various types of used diamond (PCD) and PCBN tools. welcome any inquiry from you and establish business relationships in the future. Main Products: PCD insert,PCBN Inserts,PCBN &PCD Turning and Milling Tools.PCD woodworking cutter ,Diamond Wire Drawing Die Blanks. Diamond Glass Scribing Wheel And axle. We could make tools in accordance with your drawing or specifications. PCD (Polycrystalline Diamond)refers to diamond particles which have been sintered together with a binder phase under high-pressure,high-temperature conditions similar to those used in single crystal diamond synthesis. These sintered PCD materialshave a variety of uses, most notably for cutting tools machining non-ferrous metals and non-metallic materials and forwear parts. An advantage of these materials is that their structure and composition can be engineered to haveproperties tailored to specific applications and operations. PCD tipped inserts with high hardness,good wear-resistance,low friction and heat conductivity.It is mainly suitable for machining non-ferrous metals(e.g.Cu,Al,Mg,Ti,Al-alloys with high Silicon. )and non-metal materials(e.g.glass fiber,ceramics,reinforced plastic etc). PCBN is made by high pressure high temperature sintering of cubic boron nitride with a binder phase, and there are mainly tow groups of binders, namely metal binder and ceramic binder. CBN and diamond are very similar in crystal structure,chemical bond and lattice parameters,thus they perform quite similar hardness and strength. In cutting applications, thewear resistance of PCBN exceeds 50 times that of tungsten carbide. PCBN inserts are suitable for the high-speed and super high-speed precision machining of hardened steel of HRC>45, wear-resistant cast iron, heat-resistant alloys of HRC>35, pearlite grey cast iron, nodular cast iron, Fe-based P/M sintered materials and hardened cast iron.